Well.. the search for the next Fashionistas is over. 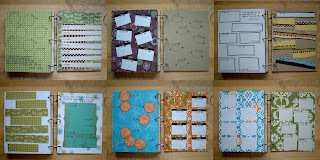 The results were announced today over at ScrapInStyle. I am really really disappointed at not making it as a Fashionista. However, I've been given the great honor of being International Community Leader (proper title to be decided on later) together with Traci Keriazakos as the Community Leader. We have yet to get details on what our positions entail.. so at this point, I have nothing to tell you about it just yet! LOL! Saying that, this was an amazing ride.. I am proud of myself for taking the plunge and throwing my name in the hat .. for making it all the way to the final round. That in itself is an achievement for me considering all the amazing girls I was up against. Unfortunately, not everyone can be a Fashionista. 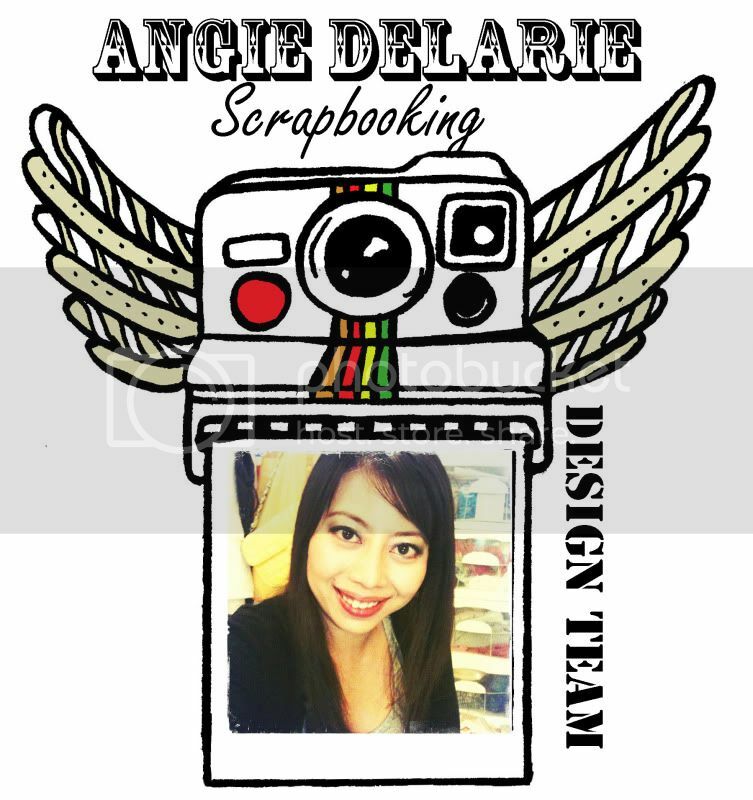 I did also hope that scrappers who are not well known names in the industry would be given a chance.. so often that many other scrapbook sites and manufacturers choose those who are already known in the industry over the countless number of other scrappers who have equally amazing talent but are less known. I must say JJ did have a great mix of girls picked out.. some are known and some are new names... but all equally amazing in their art. Well.. that's all from me for now.. TGIF tomorrow!! Woohoo! Bring on the weekend!!! It's been such a busy week at work.. I'm just totally exhausted!! 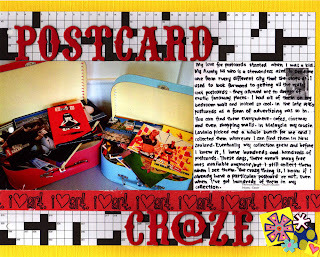 The last round of Project Fashionista assignment was due on Monday 6pm(NZT).. I worked on it all weekend and didn't finish till Sunday night at 11.30pm!! I was soooo tired.... but am pretty happy with my project. Now is the nail biting stage.. the excruciating wait.. nothing else I can do but wait. I've given it my best shot and can only hope and pray to make it as a Fashionista. If I don't, I will be heartbroken.. but I will be ok... eventually. Everything happens for a reason and there's always a time for everything.. I just need to be patient and believe that my time will come. 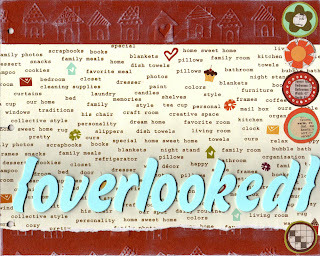 I have been scrapping a little.. started the Overlooked challenge that Ashley Wren started. 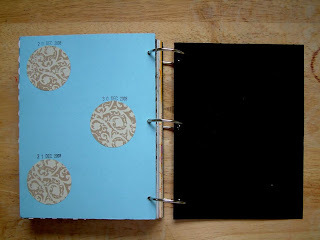 I made my own album with just chipboard for the covers and I add the pages as I go. The whole thing is held together by 3 large book rings as I'm sure it will be a very thick album at the end of it! :D So here is my album cover and the first 2 subjects. My parents will be here in less than a month.. I can hardly wait! I'll be traveling with them to the South Island over the Easter break.. and I'll finally get to visit Queenstown! YAY! I have lots of arrangements to make...I'm halfway there! And yesterday my daddy texted me to say he bought me a tripod! So so happy and can't wait to use it! Well.. That's about it for now.. I'm so happy that it's already Thursday tomorrow... I have this Friday afternoon off. Can't wait! I need to catch up with my housework and hopefully scrap some. Oh.. and I finally got a very much needed trim for my bangs today! Aaaahhhh.. feel so much better to not have hair poking my eyes all the time! Right.. I'm off to bed shortly.. have a great day ahead!!! I'm so bad at thinking of post titles! LOL! 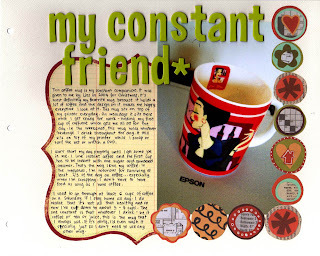 I still need to come up with a new banner for my blog.. I've had this one for about a year already.. getting sick of it really.. but I'm no Photoshop whiz.. so it takes forever for me to do one. I might just do a paper one and scan it in. Well.. since I finished my entry for Round 2, all my mojo has gone AWOL... I have no urge to really even scrap. I've got plenty swirling in my head to do.. but just don't have the mood or urge to... it's always like that.. when I get something big done.. my supply of mojo dries up completely! Ok.. since I have no new work to post and I've been meaning to post my stuff that I've done in the past month or so.. here they are. This is my Daily Thanks book that I mentioned in my previous post. Got the idea from Emily Falconbridge. She created this a few months back.. and she labeled each page 1-7 but being pedantic... I dated all my entries. 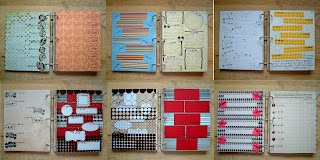 :D I didn't over think or plan too much when creating this book.. I just pulled paper without thinking of matching them as I usually do.. and I am pretty happy with this mixed little book. I'm still writing in it everyday.. It's a great project and a really good habit to get in to - to be thankful for every little thing in your life. I think people tend to focus more on what they don't have instead of what they DO have.. and this in turn tend to make them a bit more negative... I want to be and I think I am a 'glass half full' kind of person. Try this.. you don't have to make it pretty. 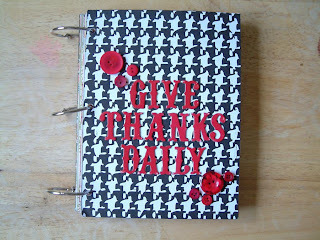 Just carry a little notebook with you.. and every night.. just jot down at least one thing that you are thankful for that day. It can be something simple like having great weather or having a great hair day.. but after a while.. you'll find that you tend to focus on the good rather than the bad.. and in general will make you more happy and satisfied. 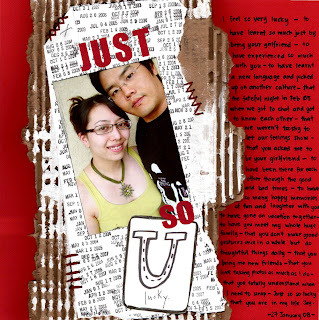 My first 12x12 layout this year..
Ok.. enough sharing for today.. I need to get to bed. I'll post more work soon.. there's a few more to share.. but I'm really tired and I have to get up for work! Those on you who are SISters... stop by this thread here on SISTV .. I'm doing a RAK and I'd love for you to throw your name in the hat. Who knows.. you might win! :D You have till end of tomorrow. Ok.. today is a new day.... and today is the start of my journey to being a better blogger. Some days time just runs away from me... I get home from work.. take a shower.. have some dinner and scrap for a little or watch tv or check out SISTV gallery.. and the next thing I know, my scrapping is not completed yet and it's time for bed.. and that means no time to blog... this occurs almost daily! I need to find time somehow in my 24 hours a day to blog.. at least once every few days.. instead of once every few weeks! So... go get a cup of coffee or any beverage of your choice... something to eat/munch on - This will be a long post... some news aren't even new anymore.. but just want to get it all on here so I don't forget. First of all, I'm blogging from my pretty new laptop!!! I got this in December.. but kept forgetting to post photos of it. Plus I've still been using my old desktop till now since everything I need is still on it. Last week I finally moved all my photos and documents over and got my printer driver installed on the laptop too. So my desktop has officially retired! What else.. I spent most of my summer holiday with Jin, Sooyong and Minki. Now that Sooyong and Minki have gone back to Korea.. life kinda gets back to normal.. I don't go out as much and I just keep to myself enjoying my alone time. I miss them heaps... but at least I still see Jin occasionally for coffee/dinner. I've not scrapped too much yet this year... a few projects on the go at the moment.. but keep getting interrupted by a lot of other things. 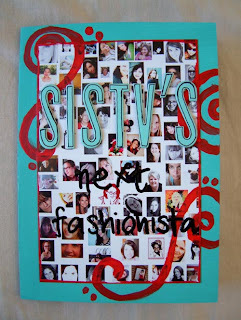 I threw my name in the hat for the SISTV Fashionista Project. The first part was easy.. we just had to email JJ with the link to our gallery. And then I found out I made the 100 who moved on to Round 2... totally excited, honored, scared and deliriously happy. 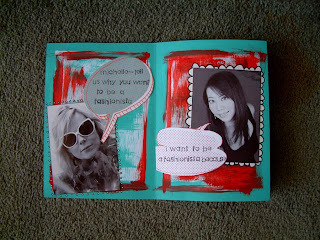 For Round 2 we had to create a project about WHY I WANT TO BE A FASHIONISTA. I was probably the last to send mine in. LOL! But I'm really happy with my project.. I pretty much stayed true to my style... and wrote from the heart... so that's what matters. And just a few days ago.. I found out that I made it to Round 3!!! One of 42 amazingly talented ladies!!! So proud to be in the same group with them. Another Kiwi, Rachel Hosking made it to Round 3 too!! YAY for the Kiwis!!!! So here's my project for Round 2. We've just been given our assignment for Round 3.. I'm totally shaking in my boots! Eep... really need to brainstorm this weekend! What else?? Umm.. right now.. 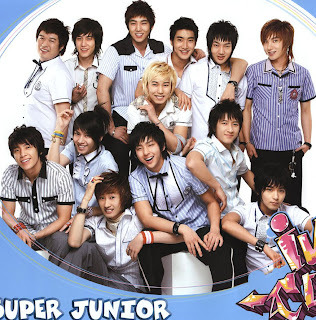 I'm totally hooked on a Korean pop group called Super Junior.. mmmm... total eye candy! LOL! Their music videos are quite cool too.. my fave song is U and their version of Haeng Bok (Happiness) originally by HOT. 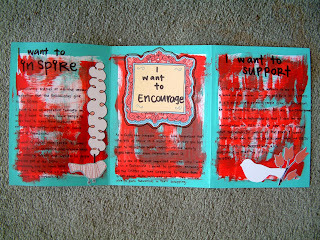 I've been faithfully writing in my book of Daily Thanks (pictures to come tomorrow).. and I've been painting canvases like a mad woman.. I have 4 in progress at the moment! LOL! Right.. I think that's all for tonight.. I'm too tired to think of what else to write... and I want to call Jay for a chat.. we talk every couple of days.. I miss him.. but I'm doing ok here.. I'll post a scrappy post tomorrow.. with all my recent projects.. I know I keep saying that.. but in my quest to be a better blogger.. I will do it! And I so need a new banner!!! See you soon!!! Back tomorrow with a proper update! I'm so tired and I need to go to bed now.. the weekend is over again, and back to work tomorrow. Thank God it's a short week this week, with Waitangi Day on Wednesday which also happens to be Chinese New Year eve. Need to make some sort of dinner plans.